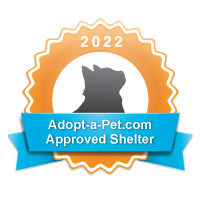 "Pets are our four-legged family"
Four Paws is now an approved Home Bound Partner and can pull rescues directly from Chicago Animal Care and Control (CACC). With additional foster homes, we can save more lives. If you are interested in fostering, please fill out our Foster Application. All proceeds benefit the Foundation's rescue and adoption efforts. Caring for our animals requires time, love, money, and supplies. Below is our "Wish List." Donating the following items help us with the day-to-day care of our rescues. Gift cards in any amount from Target, Wal-Mart, Petco, or PetsMart. Thank you in advance from all our rescues - including Mr. Blu (pictured above). Chewy.com: Pet Food Online with 15% off + Free Shipping!